I love to make a homemade breakfast everyday. 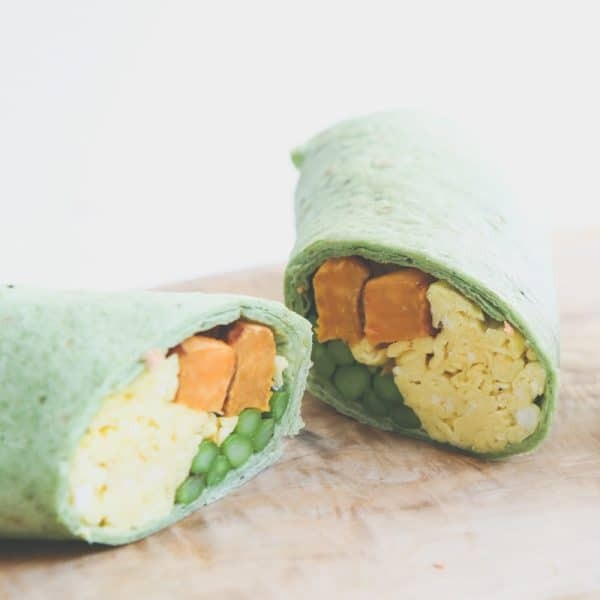 Even when the kids are rushing around in the morning and eating easy freezer foods, I’ll wait till I get back from dropping my son off at school to make something healthy and fresh for my husband and myself before we get to work for the day. Starting the day with a healthy fresh breakfast is so important, especially when your pregnant or preparing to get pregnant again. 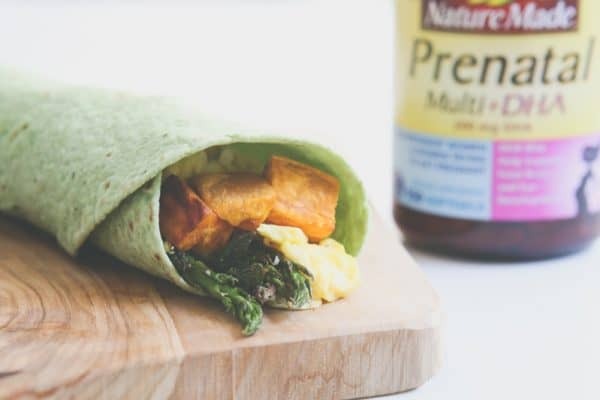 My daughter is just over 2 now, and my husband and I are preparing for a new baby by getting healthy, exercising and making smart food choices. We’ve been exercising everyday, even if it’s just a walk after dinner. I’ve found in my previous pregnancies that daily light excercise was so helpful. We’ve also been incorporating even more fresh fruits and vegetables in our diet. Eating healthy makes us both feel so much better! 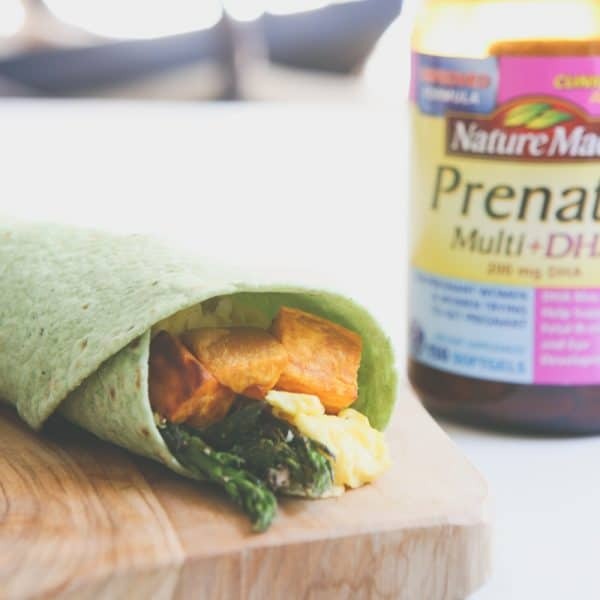 In addition to eating healthy and yummy foods like this delicious sweet potato and asparagus breakfast burrito, I make sure to take my Nature Made® Prenatal Multi + DHA. I actually have never stopped taking them since I was preparing to get pregnant with my daughter. They are perfect to take while preparing to get pregnant, while pregnant and while breastfeeding! They’re my favorite go-to vitamin and I can get a 5 month supply at Sam’s Club for a great price! Adequate folic acid in healthful diets may reduce a woman’s risk of having a child with a neural tube defect. 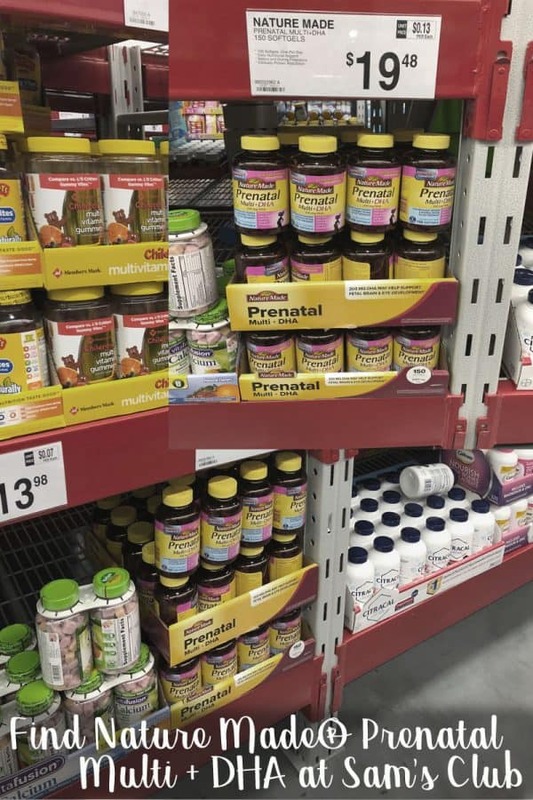 You can find Nature Made® Prenatal Multi + DHA in your local Sam’s Club. 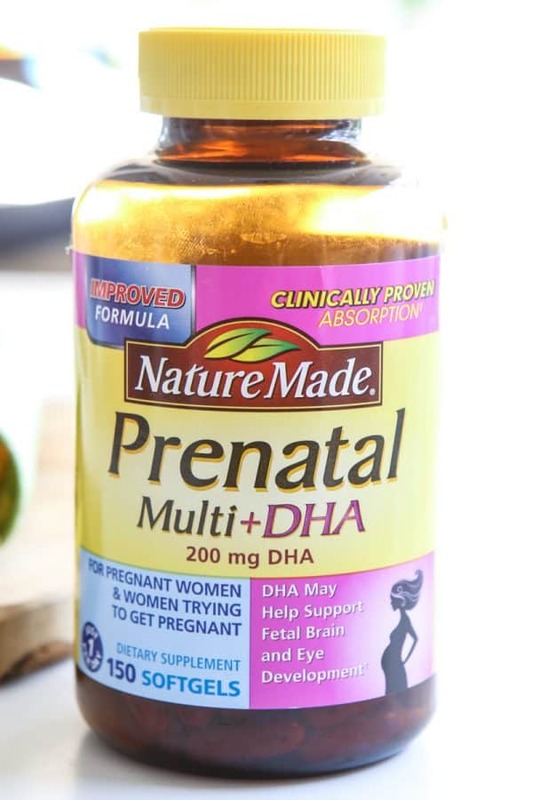 Find out more about Nature Made® Prenatal Multi + DHA by connecting with them on Facebook, Youtube and Twitter. Heat oven to 400°. Add diced sweet potatoes, olive oil and a little salt to a baking sheet. Bake sweet potatoes about 5 minutes. Remove baking sheet rom oven and add asparagus. Continue to cook until sweet potatoes are tender and asparagus is tender crisp, about 10 - 15 minutes. Whisk eggs and scrabble in a medium skillet in a bit of olive oil until scrambled until desired doneness. Heat wraps according to package directions. 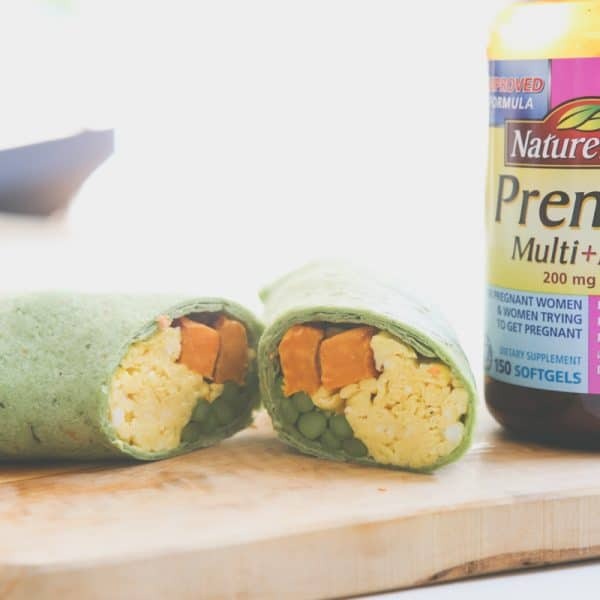 Add cooked eggs, sweet potatoes and asparagus to wrap. Wrap up and cut in half to serve. †These statements have not been evaluated by the Food and Drug Administration. This product is not intended to diagnose, treat, cure or prevent any disease.